Does your idea of the perfect honeymoon strike the balance between relaxing + adventurous? We’re talking about that happy place where incomparable luxury meets unspoiled wilderness. If it sounds like we’re describing your absolute dream trip here, than today’s honeymoon spotlight is calling your name. 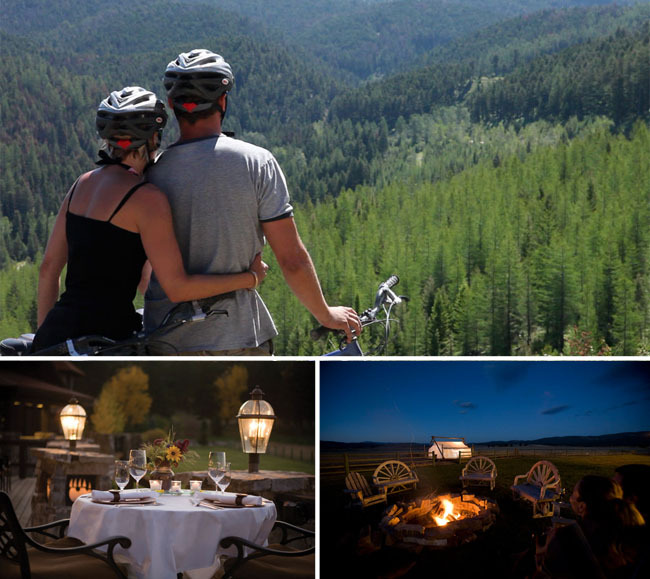 Because adventure + elegance are what The Resort at Paws Up, in Greenough, Montana is all about. 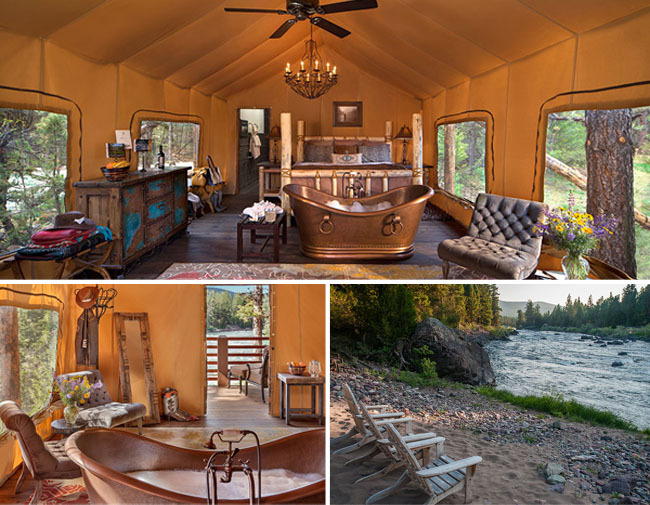 While Montana may not be the first place you’d think to honeymoon, you might change your mind after you see Paws Up’s exclusively designed honeymoon tents + private, luxurious honeymoon homes set amidst some of the best scenery nature has to offer. 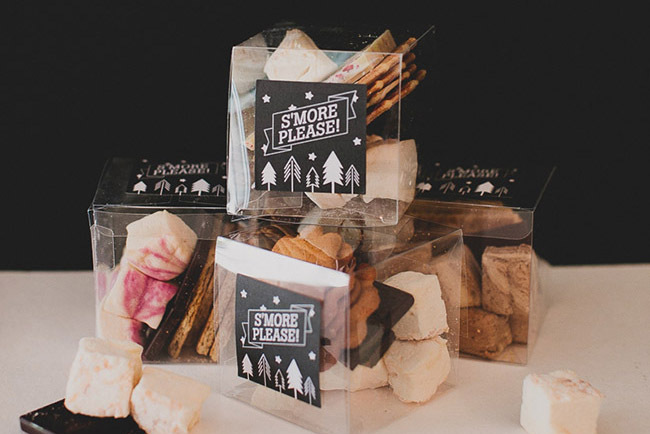 Never has glamping looked like a better idea! 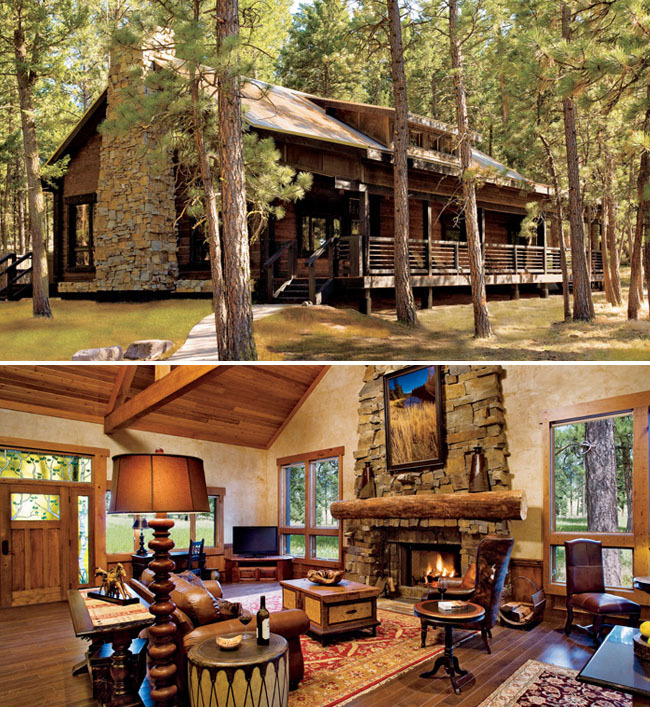 The Resort at Paws Up offers a variety of activities tailor made for honeymooners. Join your significant other in the saddle, behind the wheel, in the basket, or in the raft. And, perhaps, post adventure, enjoy a sumptuous spa treatment + a delicious gourmet meal at the resort. 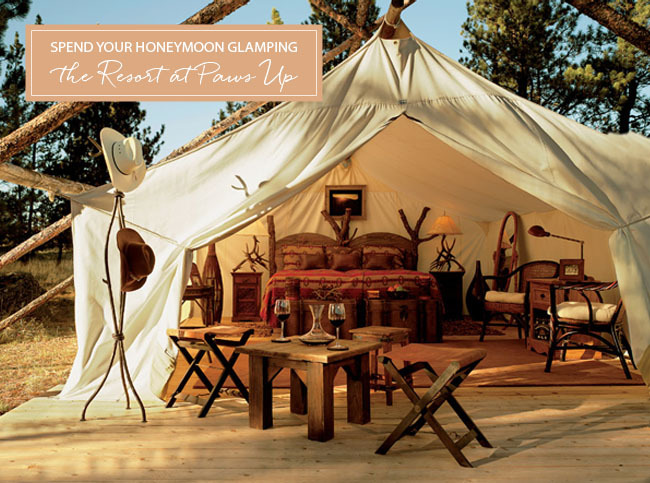 If you’re up for the idea of a relaxing AND adventurous honeymoon, glamping at The Resort at Paws Up is definitely for you! Head over to their website for more details and to learn more about their inclusive, romantic honeymoon packages. 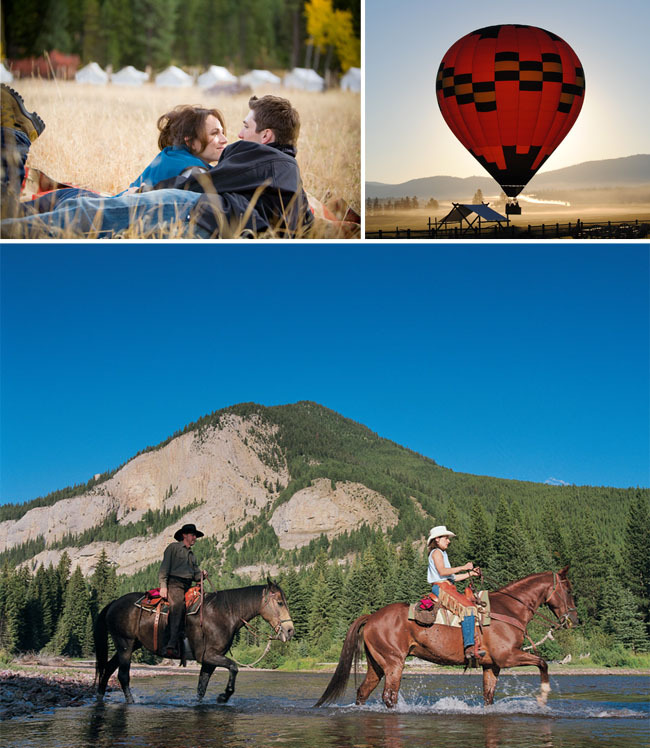 And for couples who are considering booking with Paws Up, we have some good news worth passing on: general pricing is 20% lower in the spring/fall. Definitely something for value-seeking honeymooners to consider! :) Happy honeymoon planning! * This post is sponsored by The Resort at Paws Up. Thanks for supporting our sponsors! Travel Bucket List: Stay in an Over-the-Water Villa at Sandals South Coast in Jamaica! Oh my god I’m certainly not the nature type but this looks impeccable and is making me reconsider. wow what a nice place for honeymoon planning!